PRINCE GEORGE, B.C. -- British Columbia's coroners' service is investigating after a deadly avalanche struck the province's Interior over the weekend. RCMP in Prince George say a group of five snowmobilers was riding in the remote Torpy Mountain range, northeast of the city, when one of the riders was swept away in an avalanche and killed. The Mounties say they first received a report of the incident shortly before 11 a.m. on Jan. 23. The other snowmobilers weren't injured. Police say the group was experienced and properly equipped. 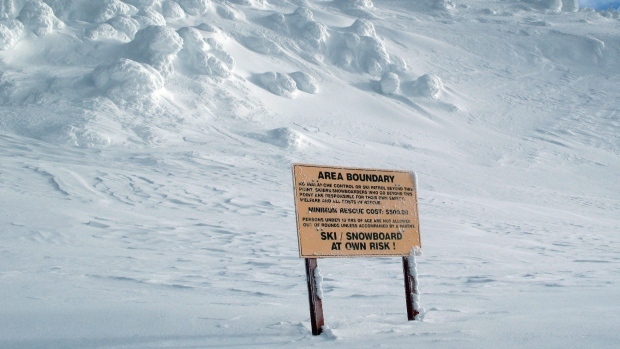 Avalanche Canada had issued a special public warning to be extra cautious in the backcountry this weekend, though its advisory didn't apply to the region where the death occurred.